Amazon offers 24 Charmin Family Mega Toilet Paper Rolls for $31.49. Clip the $3 off on-page coupon and check out via Subscribe & Save to drop that to $26.92. With free shipping, that's the lowest price we could find for an equivalent quantity by about $2, although we saw it for $4 less last June. March is quiet when it comes to sales, but you can still save on cruises and gift cards — and snag St. Patrick's Day deals. Additional contributions by Donna Doyle. March isn't known for its big shopping events, so we find that retailers will use any excuse to host a sale during the month and bring in customers. St. Patrick's Day is a given, but March is National Frozen Food Month, too, and that can yield its own deals worth checking out. And don't forget about post-Valentine's Day chocolate deals and seasonal clearance sales! Additionally, Mardi Gras 2019 falls on March 5, offering a good chance to plan a fun getaway. We also expect luggage to go on sale, making this month a good time to shop travel in general. Read on to discover all the things you should (and shouldn't) shop for in March. If you skipped the pricey confections and flowers for Valentine's Day, know that we should see deals on holiday candies in March. While you might stumble across heart-shaped boxes of chocolates at deep discounts, this month is also when Easter candy will start showing up. As Easter doesn't fall until April 21 this year, we might see fewer of those deals in March, but we still expect at least a few deals from the likes of Amazon and Walmart. March 1 marks the beginning of National Frozen Food Month. Though these 31 days are suited to the lazy cook, they're also aimed at busy families. This is the month to shop for low-cost freezer staples, as popular brands including Dole, Eggo, Green Giant, and Totino's will be offering discounts to celebrate. Be prepared to shop multi-buys on select brands to get the most out of the deals. In addition to the expected savings, you can enter to win supermarket gift cards worth up to $1,000. 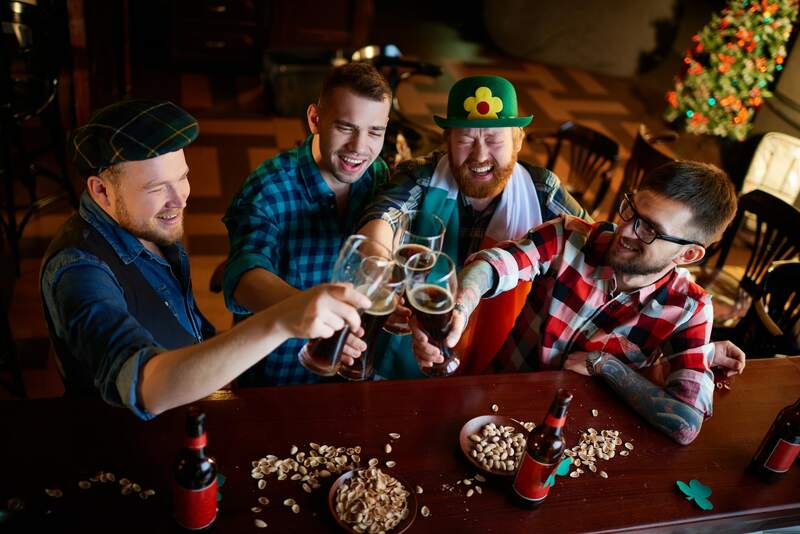 You may think of St. Patrick's Day as a time to "get your Irish on" instead of shop, but we do tend to see at least a handful of themed sales around the holiday. This is largely due to March being devoid of big shopping days in general. Look for St. Patrick's Day sales from the Dell Refurbished Store, TechRabbit, and even the Guinness Webstore. Last year we saw St. Patrick's Day sales at both TechRabbit and the Dell Refurbished Store, which took an extra 15% off and 48% off, respectively. Additionally, DiscountMags cut up to 95% off magazine subscriptions for the holiday. And in the Irish spirit, the Guinness Webstore knocked 20% off its engraved and personalized glassware. Look for food deals around St. Patrick's Day, too. Last year Baskin-Robbins offered up free samples of its Mint Chip 'n Oreo Cookies Milkshake, and we've already learned that McDonald's Shamrock Shake is back. Also check your local California Tortilla — in 2018 it gave away free chips and queso with a purchase. Restaurants like 99 Restaurant & Pub and Yard House like to provide special menus, as well. We routinely see a fair amount of cruise deals pop up in March. This is likely due to the "wave season" falling from January through March, so named because travel agents generally see a "wave" of bookings during this time. It's also when cruise lines tend to be more generous with their added incentives. In 2018, we saw more cruise deals in March than at any other time of the year (aside from February, which had the same number of offers). Look for weeklong cruises to the Bahamas and Caribbean that cost as little as $377 per person. And keep an eye out for shorter trips — last year we saw a 4-night Bahamas cruise for two from $448. We all know December is the best month to buy gift cards overall. However, March is typically second to December, bringing more offers than any other time of year. In 2018, one of the most popular gift card deals we saw allowed you to buy $100 in Atom Tickets gift cards for $65. But the deal receiving the most attention let you get a $10 Google Play credit when you made five purchases using Google Pay. Once again, look to eBay to have the most gift card deals this month. About 65% of the deals we saw during this time last year were from eBay, and they covered everything from iTunes to Lowe's to Chipotle. Whether you have a trip planned for spring break or summer, March is a good time to pick up new luggage and travel gear. Last year, eBay offered notable deals on kids' backpacks and Samsonite duffels. Meanwhile, Samsonite itself featured a coupon for up to 50% off sale and clearance items at the end of the month, which dropped starting prices to $35.99. Don't forget about Amazon, either. The online retailer accounted for 26% of the travel gear deals we saw in March 2018. Additionally, it took up to 40% off a variety of luggage and travel gear in its own sale at the end of the month. Also expect retailers like BuyDig to discount a particular type of luggage — last year, it knocked up to 70% off Samsonite's SoLyte luggage. Mobile World Congress happened in February, but that doesn't mean you'll see huge price drops on older Android phones in March. Our archives indicate that you'll see a bigger percentage of high-quality deals in July and November, so it's worth waiting at least until summer to score a new device. July should have better Android phone deals, so it's worth waiting until summer to score a new device. Keep in mind that smartphone manufacturers stick to their own schedules for new device releases. Because of that, all the popular smartphones have their own specific times that are stronger for deals. If you were hoping to find racy gifts on sale post-Valentine's Day, you might be out of luck. Lingerie is one type of apparel that doesn't see a lot of deals in March. In fact, you're better off putting intimates on your shopping list around Black Friday. But while deals won't be fantastic, if you really want to shop for lingerie in March, look for a sale or two at Frederick's of Hollywood. As a general rule, you should never buy seasonal clothing when you need it. There are exceptions, of course — you'll see sweaters and coats on sale when Black Friday hits — but for the most part, the best deals come when the season is over (or close to it). If you must stock your closet with spring sartorial selections, keep an eye out for specific sales. For instance, last year Old Navy took 50% off women's and girls' swimwear during March. Alternatively, look for big sitewide discounts. March 2018 saw H&M knock up to 80% off, and PacSun boasted a buy one, get one 50% off sale. 6pm: This discount retailer will boast a couple of sales this month. Look for a clearance event that takes at least 70% off, and another sale that cuts up to 87% off. Uniqlo: The fast-fashion retailer will likely host a sale knocking up to 95% off items. Plus, expect to also bag free shipping with your orders. Jos. A. Bank: This is another store that should offer a couple of excellent sales in March. Look for clearance suits to drop to $99, as well as a buy one, get one free sale. Aeropostale: Stock your closet, thanks to a sale that takes up to 80% off clearance items. Perry Ellis: This men's retailer should host its semi-annual suit event in March. Expect up to 60% off, along with another 20% off and free shipping on select orders. Ready to start saving? Sign up for the DealNews Select newsletter or download the DealNews app to keep abreast of all the best buys this month.